M4B God is Peace - Jehovah Shalom - Gideon | GOD Who Are You? AND Who Am I? Gideon, a judge of the Old Testament, also found he did not need a large army to overcome fear in the land and in his own heart. The book of Judges tells the story of the Israelites in the Promised Land, after the death of Joshua, before the Lord gave them Kings–such as King Saul, David and Solomon. Through the lifetimes of six judges, the people followed the Lord. Each time a judge died or a generation died out, the people reverted back to worshiping the false god of their enemy–Baal. They chose gods of their own making, becoming selfish, rather than dying to self and allowing God to fight their battles for and through them. After their enemies gained the advantage over them, due to their sin, God always forgave the Israelites. They confessed their sin and God repeatedly delivered them in the way only He could do-supernaturally, so only He could get the glory, just as He did for Kim. God never does anything to bring peace that could mistakenly be credited to man’s human ability. There is no better example of this from the stories of the judges than that of Gideon. After forty years of peace and Judge Deborah’s death, the Israelites did evil in the eyes of the Lord for seven years. During this time, the Midianites and Amalekites oppressed them so much they actually retreated to the mountain clefts and caves to live. They came out to plant their crops, but the enemy invaded their country like locusts and camped on the land, ruining their crops and slaughtering the livestock. Once again, the Israelites cried out to the Lord for help. Then, one day, Gideon, the son of Joash, was threshing wheat in a hiding place safe from the Midianites. The angel of the Lord appeared to Gideon, and said, “The Lord is with you, mighty warrior” (Judg. 6:12). The Lord turned to him and said, “Go in the strength you have and save Israel out of Midian’s hand. Am I not sending you?” Judges 6:13-14. Let us put ourselves in the shoes of Gideon. Suppose we are doing laundry, and the Lord appears to us and calls us a “warrior.” We are hungry to see the miracles we heard once happened, that are in the Bible, and now God is telling us that if we are to see those things happen, they must come through me. 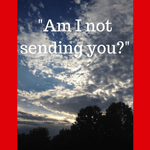 “Am not I sending you?” the Lord said. Chanté and her mother had to choose to be used by God. Chanté spent two years, after being delivered from drugs, in a lot of prayer asking God to change her and to use her. No less than we would do, Gideon resisted, complaining his clan was the weakest of all and that he was the least in his family, thinking, no one ever gives me a second thought. But the Lord told him, “I will be with you, and you will strike down all the Midianites together” (Judg. 6:16). Gideon wanted a sign that this person talking to him truly was the Lord. Gideon asked him to wait so he could prepare an offering. The Lord waited. Gideon prepared a goat and unleavened bread and brought it to Him. The Lord had him put it on a rock, take his staff, touch the meat and bread; fire consumed the peace offering. Immediately, the Lord disappeared. This was the sign Gideon had asked for. That night, the Lord was still with Gideon and instructed him to tear down his father’s altar to Baal. Gideon knew ten men who were willing to help him, and they obeyed. With the wood from the heathen altar, they created a proper altar for sacrifices to the Lord God. Gideon and Kim both went against their parents’ wishes and way of life. Gideon did what his father was afraid to do. Surprisingly, his father stood up for Gideon to the town’s people saying, “If Baal really is a god, he can defend himself when someone breaks down his altar” (Judg. 6:31). Unlike Gideon’s dad, Kim’s mother persecuted her by calling her “stupid” and berated her because of her Godly standards. Not only did she try to convince Kim she was crazy, but she put in the minds of Kim and her sister that each hated the other. It would only be after Kim’s mother’s death that the Lord would reveal to Kim if her mother ever became a Christian. After much doubting Gideon chose to be obedient to the Lord and gathered all the men he could to help him defeat their enemies. The Lord said to Gideon, “You have too many men for me to deliver Midian into their hands. In order that Israel may not boast against me that her own strength has saved her, announce now to the people, Anyone who trembles with fear may turn back and leave. . . .
Twenty-two thousand men left, while ten thousand remained. Less than one third had faith in the Lord’s ability to save them. Still, the Lord said there were too many men. He told Gideon He would handpick them. Gideon took the men down to the water to drink. The men who lapped the water from their hand-those who stayed alert and watching, not taking their eyes off the situation-were chosen. Of the ten thousand men, only three hundred remained. “His friend responded, ‘This can be nothing than the sword of Gideon son of Joash, the Israelite. God has given the Midianites and the whole camp into his hands'” (Judg. 7:13-14). Encouraged, Gideon worshiped God, ran back to the camp and shouted, “Get up! The Lord has given the Midianite camp into your hands” (Judg. 7:15). Dividing the men into three companies, Gideon put trumpets, empty jars and torches in their hands. The men broke the jars, blew the trumpets, and shouted, “For the Lord and for Gideon!” The Lord caused the men in the enemy’s camp to turn on each other with their swords. 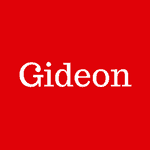 Gideon and his men pursued the army and their leaders, overcoming them all. During Gideon’s lifetime, the land enjoyed peace for forty years. Kim recalls when Jesus raised his dear friend from the grave, He utilized help from others for Lazarus. He “. . . called in a loud voice, ‘Lazarus, come out!’ The dead man came out, his hands and feet wrapped with strips of linen, and a cloth around his face. Jesus said to them, ‘Take off the grave clothes and let him go'” (John 11:44). Jesus then asked those around Lazarus to remove the soiled stinky rags from a four-day-old corpse, because Lazarus was so bound he could not do it for himself. Chanté and her mother were “mighty warriors” who stormed the kingdom of God like two ferocious BEARs–they did not rest until they possessed what they needed and wanted–peace for their friends. They knew that aside from Jehovah-Shalom there is no peace. They B-elieved God, they E-xpected the victory; they A-sked from God on Kim’s behalf; and they R-eceived from the Lord. They did it all “in the name of Jesus.” By so doing, Jehovah gave strength; Jehovah-Shalom blessed his people with peace (see Ps. 29:11). Spiros Zodiates, Th.D., Executive Editor, The Hebrew-Greek Key Word Study Bible, (AMG Publishers, Chattanooga, TN 1990) p. 1785.